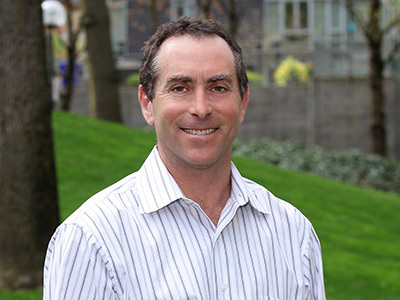 Garten is an instructor for the Oregon Executive MBA program in Portland and a Professor of Business at Portland State University. He teaches graduate courses in business strategy, strategic alliances and acquisitions, and negotiation. From 2006 to 2009, he was CEO of SeQuential Biofuels, Inc. where he was responsible for developing the company’s growth plans, leading funding activities, and providing overall leadership and management of day-to-day operations. During this period, Garten developed the company with a joint-venture partner, restructuring, raising capital, expanding production capacity by 500 percent, developing retail expansion plans, and improving the company’s financial position. From 2003 to 2006, he was a consultant in business strategy, deal-making, and management practices focusing on the technology, energy and environmental fields. From 1987 to 2003, Garten worked at Intel Corporation. His most recent position was as general manager for a communications product division. Before that, he was director of business development where he developed, negotiated, and executed diverse strategic relationships, including joint ventures, licensing, strategic supply, acquisitions, and equity investments. He has also held various product management, marketing, strategy, and engineering positions in the technology and automotive industries. Garten originally engineered diesel fuel injection systems for cars and trucks. He is on the board directors for The Organically Grown Company, is treasurer for the Bridlemile Soccer Club, and previously served as president of the Forest Park Conservancy. Gudrun Granholm and Dave Garten will provide special training for Mercy Corps program managers in Uganda.